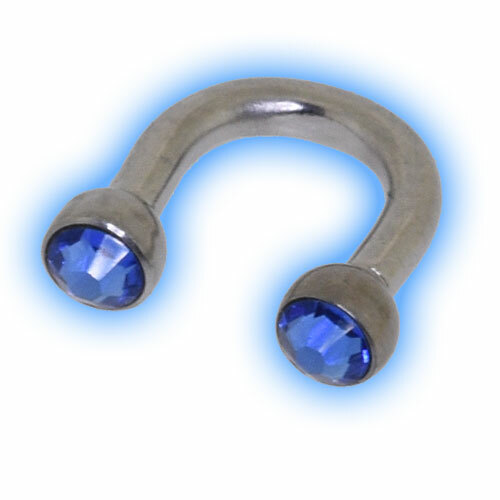 These barbells are a snug fit around the side of the ear for most piercings - please check your measurements to ensure it will fit your piercing. The 2.5mm gems look stunning at the edge of the ear and they are available in a choice of jewel colours. Thes u shaped barbells are also available with a gold plated, rose gold plated or black pvd finish.